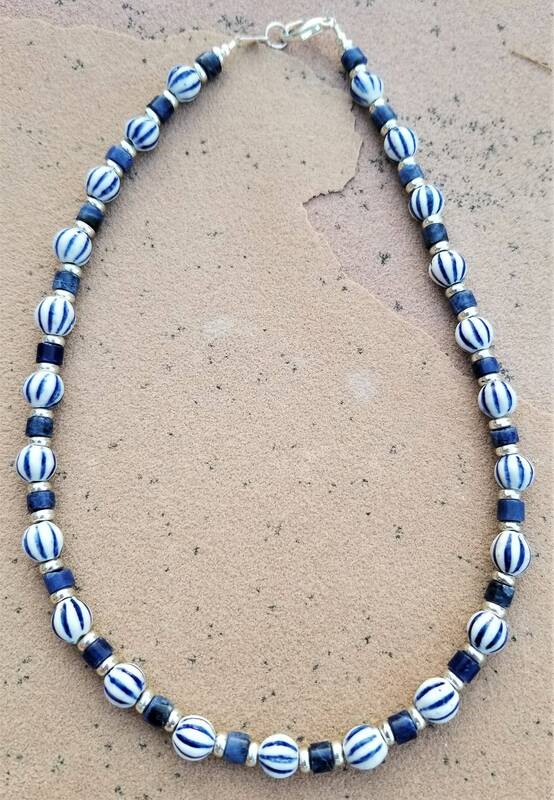 This is just a simple and charming choker made with striped porcelain beads and offset with beautiful blue lapis. So comfortable you won't even know you have it on. 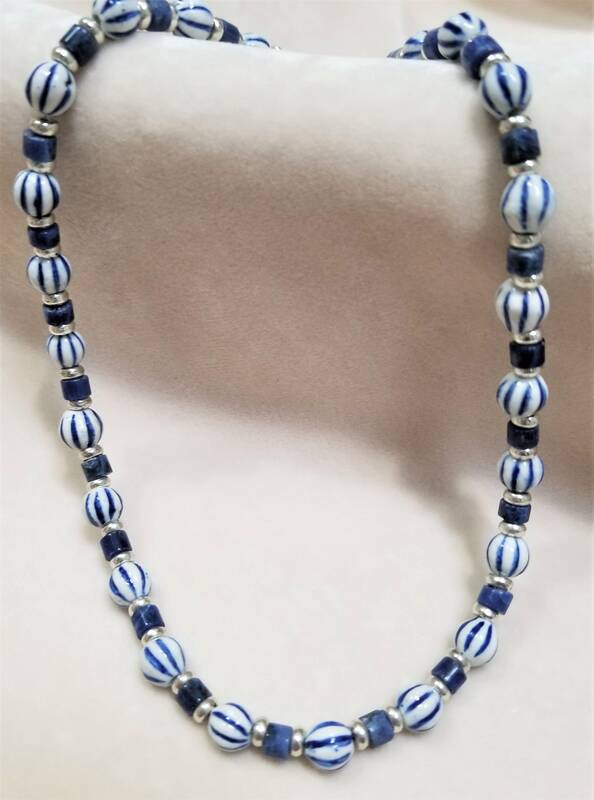 If you really want to add drama, there's a 19" choker that coordinates with it and has a great porcelain pony hanging front and center. I included a picture of it in case you're interested. There's also a beautiful bracelet that coordinates with both necklaces to create quite a loveley set. You can find the bracelet in the 'Bracelet' section and the other choker in this same section.